While the middle of January may seem a bit early to begin thinking about taxes, 1099-MISC filing deadlines are looming for businesses. 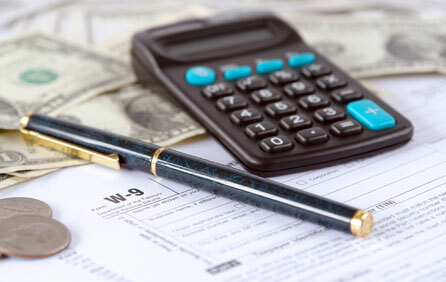 Generally speaking, IRS 1099-MISC is the form used to report miscellaneous income that you paid to persons during 2013 in the course of your trade or business. The 1099-MISC forms must be issued to any person that you have paid at least $600 in rents, services or other income payments. Typically, you should issue the form to any independent contractor that you paid $600 to during 2013. For example, if you paid a designer $1,500 to build and maintain a website in 2013 for your business, a 1099-MISC filing would be required. As with practically any IRS filing, there are additional situations that require a 1099 filing [ex: any fishing boat proceeds], so make sure you cover your bases by looking at the relevant instructions. Generally, you are not required to report payments to a corporation. When and What Must Be Filed? The 1099-MISC form is a multi-layered carbon form, so make sure the information you provide appears clearly on all of the copies. Once you have filled out the form, you must provide Copy B to the person that you are reporting to the IRS by January 31. Using our previous example, you would mail Copy B to your website designer before the end of January. Copy A of the 1099-MISC form is intended for the IRS. You are required to file it by February 28 if you are sending the form by mail. If you prefer to file electronically, you have until March 31 to file the form. Revealing a particular flair for red tape, the IRS requires you to file an additional form if you are filing Copy A of the 1099-MISC by mail. In such a situation, you must file an “Annual Summary and Transmittal of U.S. Information Returns” form. This summary is better known as Form 1096 and you should have already received a copy of it in the mail from the IRS. To the surprise of many people, the IRS has an excellent website containing information and tax forms. Unfortunately, the site is fairly useless when it comes to obtaining tax forms that you can actually file. You cannot download and use any 1099 form from the website. If you try to print forms from the site and use them, you run into two problems. First, the IRS computers will not be able to read the forms and will reject them. Second, it is doubtful that you will be printing on multi-layered carbon paper, which means you will have no Copy B of the 1099. Obviously, either situation can attract unwanted attention from the IRS. You can order forms from the IRS by calling 1-800-tax-form or ordering them off of the IRS website [do not download]. The IRS suggests it typically takes at least two weeks for the forms to be delivered, but keep in mind that it may take longer. If you need the forms sooner, you usually can find them at libraries and post offices. Richard Chapo is CEO of http://www.businesstaxrecovery.com – Obtaining tax refunds for small businesses by finding overlooked tax deductions and credits through a free tax return review. He can be reached at richard@businesstaxrecovery.com. IRS 1099-MISC is the form used to report miscellaneous income that you paid to persons in the course of your trade or business. Learn whether this apply to your business and when 1099s must be filed.